1.Li C, Chen Z, Meng C, Liu G*. Rapid detection of duck hepatitis A virus genotype C using reverse transcription loop-mediated isothermal amplification. J Virol Methods. 2014,196:193-8. 3.Gao J, Chen Z, Li C, Liu G*.Codon optimisation of the rabbit hemorrhagic disease virus (RHDV) capsid gene leads to increased gene expression in Spodoptera frugiperda 9 (Sf9) cells.J Vet Sci. J Vet Sci. 2013，14（4）： 441-447. 4.Cheng Y, Chen Z, Li C, Meng C, Wu R, Liu G*.Protective immune responses in rabbits induced by a suicidal DNA vaccine of the VP60 gene of rabbit hemorrhagic disease virus.Antiviral Res. 2013，97(3):227-31. 5.Wang B, Zhe M, Chen Z, Li C, Meng C, Zhang M, Liu G*. Construction and applications of rabbit hemorrhagic disease virus replicon.PLoS One. 2013 May 8;8(5):e60316. 6.Li C, Chen Z, Meng C, Li L, Liu G*..High yield expression of duck hepatitis A virus VP1 protein in Escherichia coli, and production and characterization of polyclonal antibody. J Virol Methods. 2013 ， 191(1):69-75. 7.Chen Z, Li C, Peng G, Liu G*.Expression, purification, characterization and subcellular localization of the goose parvovirus rep1 protein. Protein Pept Lett. 2013，20(7):820-5. 8.Wang Y, Liu G, Chen Z, Li C, Shi L, Li W, Huang H, Tao C, Cheng C, Xu B, Li G. Recombinant adenovirus expressing F and H fusion proteins of peste des petits ruminants virus induces both humoral and cell-mediated immune responses in goats.Vet Immunol Immunopathol. 2013，154(1-2):1-7. 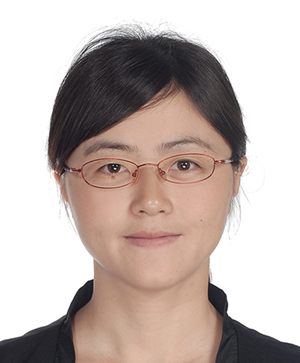 9.Zongwei Yang，Zongyan Chen ，Chuanfeng Li， Guangqing Liu* .Identification of in vivo interaction between Rabbit Hepatitis Disease Virus capsid protein and minor structural protein. Chinese Sci Bull, 2012, 57:1-5. 10.Zongyan Chen, Yingqi Zhu, Guangqing Liu*.Outbreak associated Novel Duck Reovirus,China, 2011.Emerging Infectious Diseases , 2012, 18(7): 1210-1211. 11.Yuzhi Fu, Zongyan Chen, Chuanfeng Li, Guangqing Liu*, Establishment of a duck cell line susceptible to duck hepatitis virus type. J Virol Methods, 2012, 184: 41-45. 13.Yuzhi Fu, Zongyan Chen, Chuanfeng Li, Guangqing Liu*, Protective immune responses in ducklings induced by a suicidal DNA vaccine of the VP1 gene of duck hepatitis virus type. Vet. Microbiol, 2012, 160(3-4):314-8. 14.Chen Z, Li C, Zhu Y, Wang B, Meng C, Liu G*. Immunogenicity of virus-like particles containing modified goose parvovirus VP2 protein. Virus Res. 2012, 169(1): 306-309. 15.Guangqing Liu*, Emilio Yángüez, Zongyan Chen，Chuanfeng Li. The duck hepatitis virus 5’-UTR possesses HCV-like IRES activity that is independent of eIF4F complex and modulated by downstream coding sequences. Virology Journal, 2011, 8:147-158. 16.Zongyan Chen, Guangqing Liu*. Monoclonal Antibody Specific to Goose Parvovirus VP3 Protein. Hybridoma. 2011, 30(1): 101-102.